ABC’s Sunday Fun & Games line-up was the runaway hit for network TV last summer. The block of classic gameshows was a huge success and has created a game show resurgence on television. Celebrity Family Feud at 8pm, $100,000 Pyramid at 9pm, and Match Game at 10pm all proved mighty successful in the ratings. Then, ABC went and made a very odd decision. They put new episodes of Match Game on this winter in a timeslot that was previously filled by a failed new drama (RIP Time After Time). The ratings (obviously) went down and the show hasn’t been picked up for a third season, nor is it on the summer schedule. 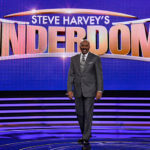 Instead, Pyramid was moved to 10pm (even though it rose from Celebrity Family Feud‘s ratings nightly last summer at 9pm, they think it’s strong enough for 10pm…sure…) and in its spot will be the new reality competition/game show Steve Harvey’s Funderdome. I don’t say this lightly that it was a bad decision. Now, I may be wrong when it comes to ratings. Little Big Shots‘ first season was really strong for NBC (this season, not so much) and Steve Harvey is a draw for his own talk show and Celebrity Family Feud. Just, ya know, avoid his dressing room. As far as quality goes, however, this show is a pile of garbage. The show is yet another Shark Tank-type concept (’cause it worked out so well with The Toy Box…) and it is far inferior to its predecessor. The show has 6 inventors paired up to present their similar products to the audience. For example: a pair was made up of airplane-related concepts, there was a soap-based pair, and a home decor-based pair in the episode given to view. The inventors are all looking for a sum of money to win (10K, 20K, 50K, or 100K) and to win, the audience must choose their product by a majority. 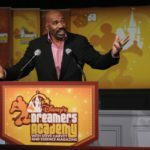 Each inventor gets about 60 seconds to loudly scream/read bad scripted dialogue explaining their product to the crowd as the camera keeps cutting back to Steve Harvey’s face for no reason whatsoever. Steve then goes over and talks to the inventors about their products, sometimes making fun of their product to the inventor’s face. The audience then votes, but there’s a twist. The inventors have the ability to “Cash-Out.” Varying money amounts (in no particular order) flash on the screen and, if the inventors decide, they can take that guaranteed money and leave. After this charade, the winner is revealed, there’s happiness and defeat, and then they are quickly kicked aside for the next pair. WOW. What else can I say. The inventors have no time to pitch and Steve has to get his opinions about the products, which sways the crowd. Basically, if Steve talks longer with an inventor/has a better rapport with them, then they win. On top of that, having sixty seconds leads to inventors to rush and try to be as lively as possible, which becomes cringe-tastic for the home viewers. The “Cash Out” option is stressful, as these inventors are confident about their products, and they should be. There was only one product that I went “eh” for, as it seemed like it was fixing a problem that wasn’t really there. These are good products with passionate creators who don’t want to come across as unpassionate by taking this smaller amount. This leads to more heartbreak if they don’t win, especially when Steve makes fun of their product first. On Shark Tank, you can’t entirely feel bad as they don’t understand the business or don’t have their numbers correct. On this show, it is truly a popularity contest, so you can imagine how heartbroken these creators look when they lose. It’s tough to watch. I don’t really understand why ABC would take their super strong line-up of game shows and replace it with a bad Shark Tank rip-off, of sorts. You had three beloved game shows with brand recognition that you are going to replace with a badly put together reality/game show that isn’t as fun as the earlier line-up or as exciting to play along with at home, since you can’t. 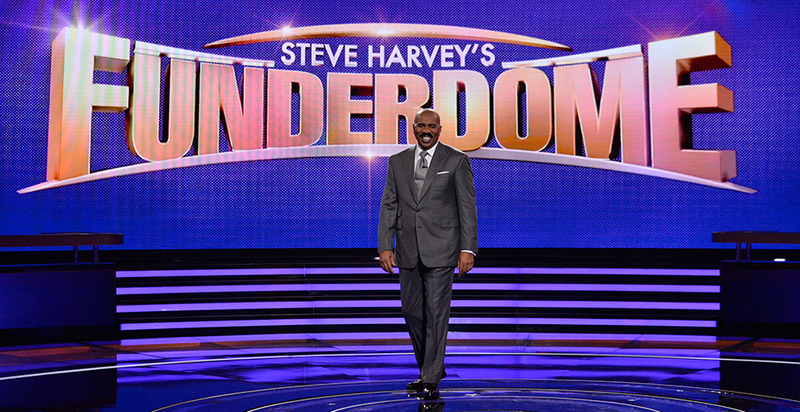 Here’s hoping the Funderdome loses in the ABC Ratings Thunderdome.